Wiz Khalifa Arrested: Rapper Held Overnight on Drug Charges in N.C.
GREENVILLE, N.C (CBS/WNCT) Pennsylvania rapper Wiz Khalifa was arrested by North Carolina police on drug charges following a concert. The 22-year-old was arrested early Tuesday morning after a performance at East Carolina University in Greenville, N.C., according to CBS affiliate WNCT. According to MTV News, police raided the rapper's tour bus while he was performing on stage and marijuana was found. 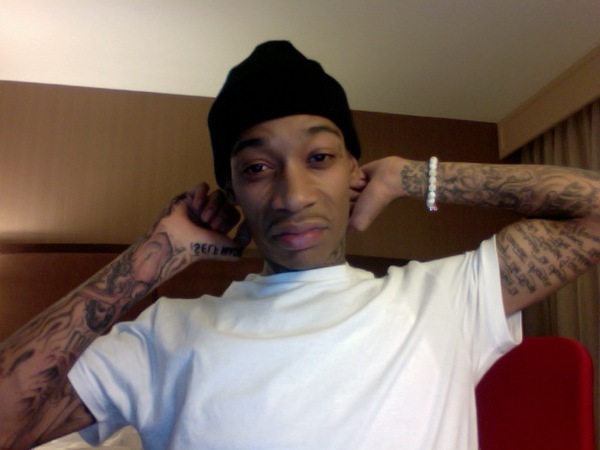 Khalifa, whose real name is Cameron Thomaz, was charged with a felony count of trafficking in marijuana, a felony count of maintaining or storing marijuana and one misdemeanor charge of possession of drug paraphernalia. MTV News also reports that nine other people were arrested on the same charges. According to WNCT, Khalifa was held at the Pitt County Detention Center. MTV reports that he posted $300,000 bail and was released at around 8 a.m.
MTV named Khalifa the "Hottest Breakthrough MC of 2010" and reports that he recently signed a record deal with Atlantic Records. The rapper, who reportedly brags about his marijuana smoking habit, was appearing on the campus as part of his "Waken Baken Tour 2010."